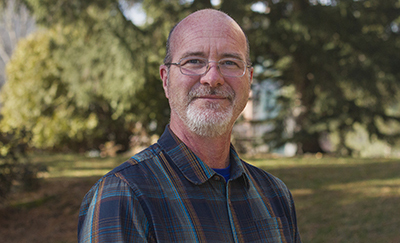 PULLMAN, Wash. – John Peters, director of Washington State University’s Institute of Biological Chemistry, has been named a Fellow in the American Academy of Microbiology. This is John Peters’ second such honor in the last three months — late last fall he was named a Fellow in the American Association for the Advancement of Science for his contributions in chemistry. John Peters, WSU Institute of Biological Chemistry, earns dual fellowships with AAM and AAAS. The American Academy of Microbiology represents the American Society for Microbiology, the world’s oldest and largest life science organization. The mission of the Academy is to recognize scientists for outstanding contributions to microbiology and provide microbiological expertise in the service of science and the public.Peters’ work involves understanding energy use in living creatures at the microbial level. Peters said he also is proud of the recognition in two completely different fields: chemistry and microbiology. “It says a lot about the scope of our program and what we do to advance science,” he said.